I am once again, the queen of procrastination. Been so occupied with first week of uni! after a month of moving in. so apologies if it looks nearly identical. I'm currently staying in the Milano apartments. (I'm currently on the 35th floor, last year I was on the 28th). I've been aspiring to cook more at home lately; so far progress has been good. It really is much healthier, especially when you know what goes in your food. finally enrolled and chosen all my subjects for the semester, got my wifi set up and signed up for the muay thai gym @ Dynamite (thanks to my cousin Dee for introducing! She's been training there for about 2 years now). It's been a productive week so far so big thumbs up!!! I've been a pretty dedicated shutterbug lately, carrying my camera around and just snapping random still here & there! Also got Lightroom and VSCOfilm 1 - 5 so I've been playing around with all the edits and colours. Slowly but still getting the hang of things. The efficacy of the Samsung's NX300 wifi setting is incredible. The sensor's impressive and all the pictures turned out crisp clear. I'm a bit peeved by the slowness of the autofocus but what it lacks in autofocus, it makes up for it in wifi capabilities. Took me less than a minute to transfer photos from the camera to the iPhone effectively making the iPhone camera redundant. 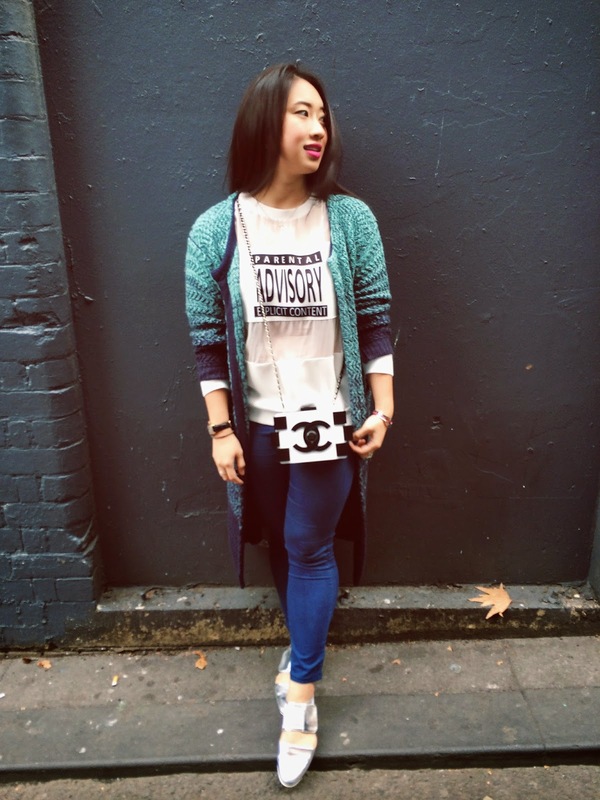 Finally back in Melbourne - been so occupied for the past couple of days running errands. After packing up and moving out of the Sydney apartment, I headed for Melbourne to get settled in. I arrived on the first week of June and stayed there for 3 weeks. Then I flew to KL to spend the first 2 weeks of Ramadhan (fasting month) with the family but I'm leaving for Melbourne again in a couple of days for orientation and uni. Sounds a handful doesn't it? I've been flying in and out of Australia so much in the past 2 months sorting out unis, looking for apartments in Melbourne, packing up my Sydney apartment and back to Melbourne. I think I've had 8 flights in total to and fro KL - Sydney - Melbourne on 4 different occasions in the past 2 months. So tired of flying but it'll all be done soon. I went back to KL to spend some time with my cat, family and friends. Indulged in a little bit of retail therapy and of course, apam balik. The other is my apartment. After moving abroad for my studies last year, I found newfound respect for myself. Since arriving Melbourne last year, my parents left me in charge of looking for apartments, setting up appointments with real estate agents, lodging applications and arranging for the bonds to be paid etc. That day was here - I finally felt a gist of what it felt like to be a "grown up". whenever I'm looking for apartments to rent (either in Melbourne or Sydney), I'm always looking for lots of light, floor to ceiling windows, 2 bedrooms (my family visited often - so the other bedroom would be my parents') and a decent view. which meant that I could buy furnitures and decorate it as I pleased!!!! The apartment I chose was in a brand new development called One Central Park. I loved the facade of the building. It was immaculately designed and was walking distance to uni. I especially loved taking pictures when the weather was nice. The blue skies provided such a nice contrast for the greenery from the vertical garden. The shiny square roof protruding is a heliostat - it provides light for the pool directly below it. I remember being so intrigued by this :) Thought it was an infinity pool at first..... ZZZZZZ. I flew back to Sydney with Aiman to officially withdraw out of uni and to request for a release letter. 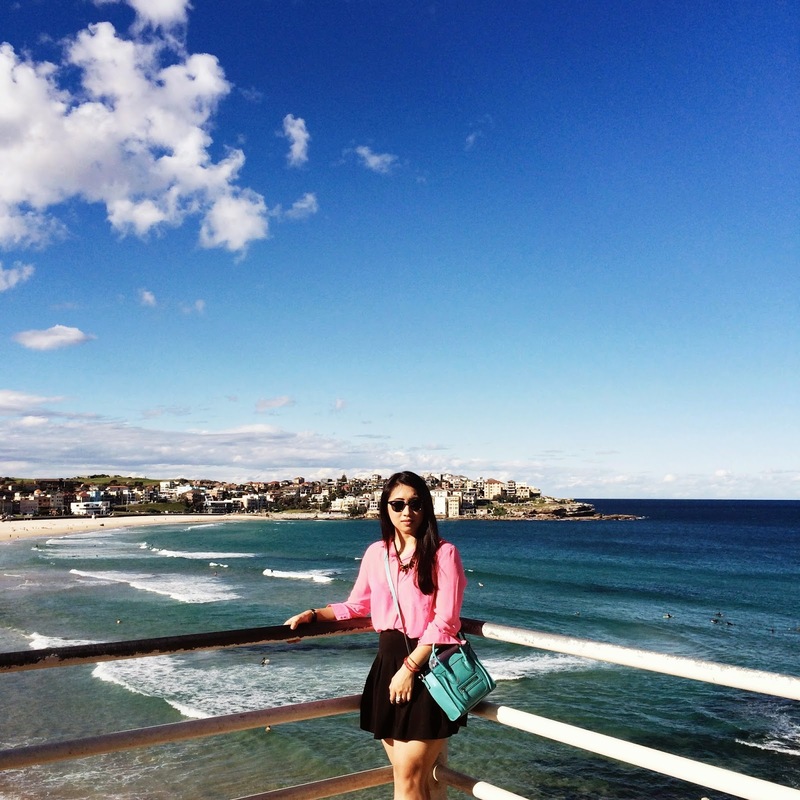 After a long day of running errands, Aiman and I decided to go on an adventure at Bondi! 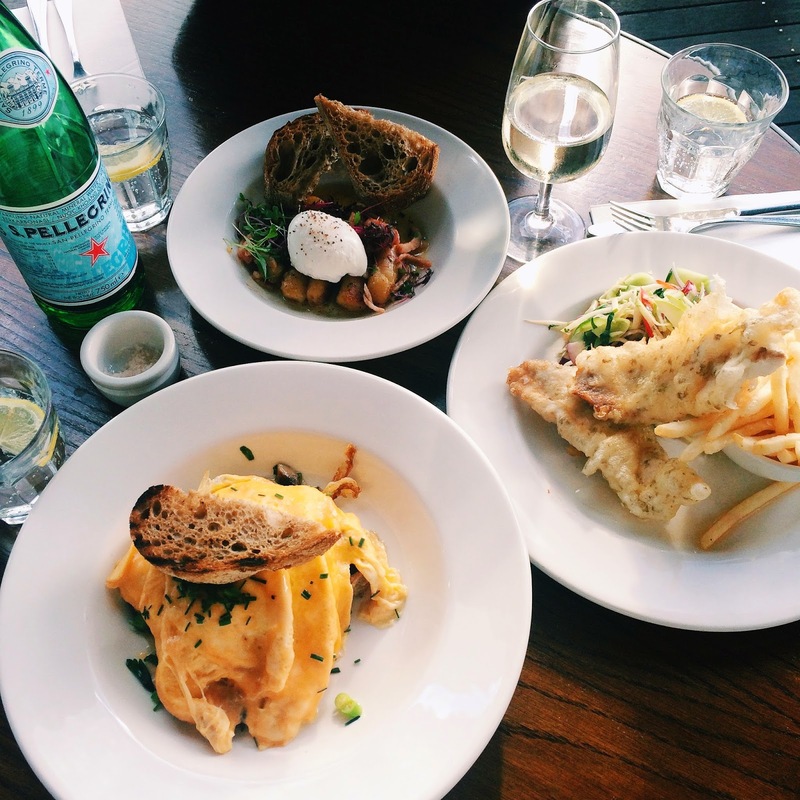 I love food - brunch food in particular. I could never say no to an invite to explore new food places. the application for universities commenced. I was utterly adamant on doing a law degree. and I missed out by a few points (the clear in was a 90% average, I attained an 88). As an alternative, I sought after other universities in neighbouring states. I got an email saying I was accepted into the University of Sydney for Bachelor of Arts and Law, which meant that it was a double degree. I was ecstatic - uSyd is only 2nd to Melbourne Uni for it's law program and no. 10 in the world. But I was also torn; I desperately wanted to stay in Melbourne. I was madly in love with the city that had the friendliest people, a strong brunch culture and served the best coffee. Alas, this yearning to do law outweighed my desires to stay. And so I shifted from Melbourne to Sydney. A couple of months flew by and I realised that I was not happy, not as enthused with life. It took me a few weeks to come to terms with the fact that Sydney was not my cup of tea. I liked it, to a certain extent but there was just something missing. I missed the girls and Melbourne's efficient tram system, how everything's walking distance.. I was to move back to Melbourne. Anyway, I've always had a knack for reading subjects and a way with words; a skill essential for writing essays. And since I missed out on Monash's law program by 2 points. I headed towards Melbourne Uni for it's versatile Bachelor of Arts program. Best decision of this year thus far, deciding to attend the best university in Australia. I've seen countless pictures of my friends climbing the picturesque Broga Hill. Especially the stunning ones taken during sunrise and sunsets. to due to unfortunate circumstances. One day, my best friend from high school, Melinda and I finally decided to hike Broga Hill. I was back in KL for summer holidays so timing was convenient as well. Whenever I'm with Mel, fun times ensues.